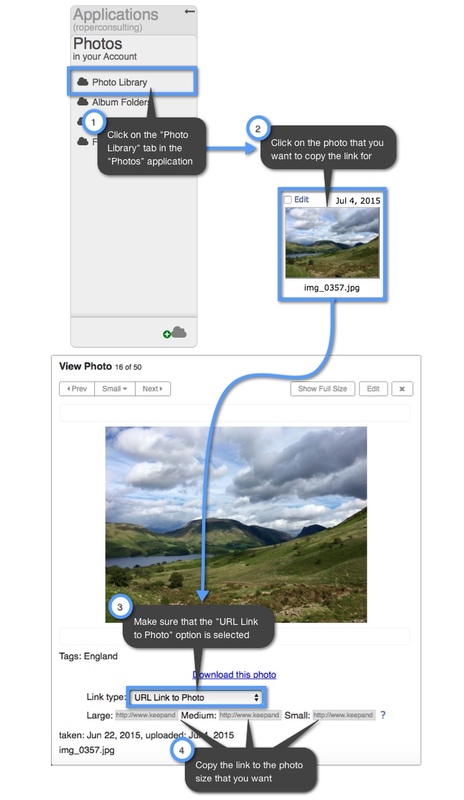 Be sure that when you are copying the link to your photo that the drop-down menu above the links to your small, medium, and large photo sizes has the “URL Link to Photo” option selected. Once you have copied the link to your photo, it will look similar to the link below. Notice that the middle of your photo link will indicate the size of the photo (highlighted in yellow). Photos will be labeled small (ss), medium (sm), and large (sb). The example below links to a small photo. The example below links to a medium photo. The example below links to a large photo.